FALSE – OPRAH IS NOT ABANDONING PRESIDENT OBAMA! My heart weeps to see this LIE, which was not only meant to hurt Obama, but that tears into the spiritually evolved soul that is Oprah. She is far beyond doing anything for another human being and demanding thanks in return. She is Aquarian, and because I am also Aquarian, I know that her life is lived for the world—never for the praise or thanks of others. 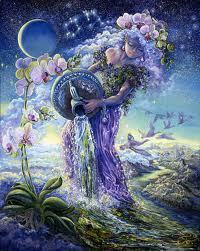 Obama’s Ascendant is Aquarius and I know that he is also working for the world. Oprah has given her life’s work to assisting others become all they can be. That’s what Aquarians do! Filed under: 2012 Elections, Aquarius Waterbearer, Obama, Oprah |	Comments Off on FALSE – OPRAH IS NOT ABANDONING PRESIDENT OBAMA!